In this Strymon Flint review, don't be fooled by the analog appearance of this pedal as there're only buttons and switches, no display. It actually hides a powerful digital processor that produces some very cool sounds. It has 3 types of effects for tremolo and reverb as well as the usual adjustment knobs. Note that the pedal is full of dual functions for example to change the order tremolo into reverb or the opposite, you can also choose if there is a boost when you activate the effect, etc. See manual for details. The pedal is stereo output as well as input with the proper adapter. The stereo output of the Flint is connected to the audio interface MOTU Ultralite mk 3. 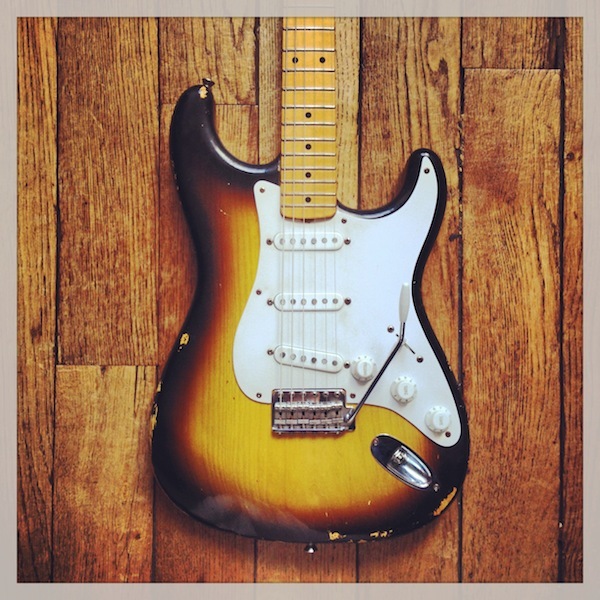 Guitar used : Monster Relic Strat loaded with Hepcat pickups. This test of Flint was my first prolonged contact with a Strymon product whose reputation is well established with the pros (and the non-pros). Well I have not been disappointed. Despite a steep price in the absolute (€ 329) the price/quality ratio is excellent when you consider the quality of sound and the fact that it is a double pedal with two distinct effects can be activated separately. 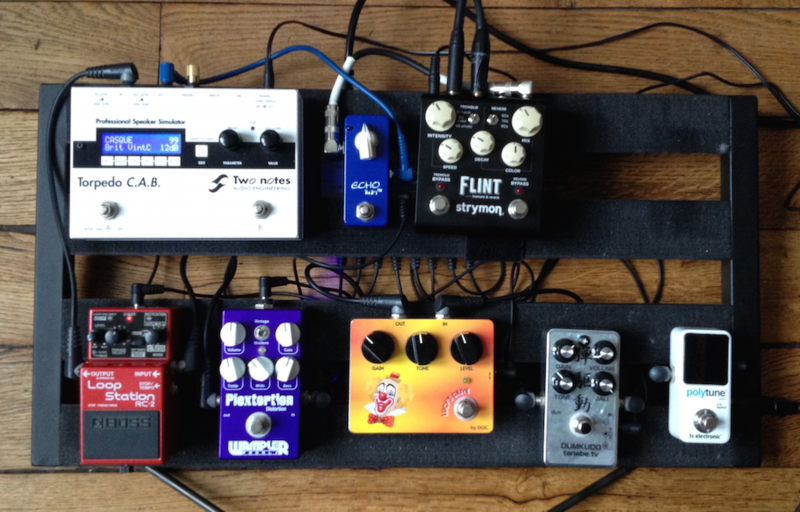 A big thank you to Strymon who sent me this pedal test from the United States following a contact made via Twitter. Kudos to them to being so responsive on the Internet, very few brands are that good on the Internet. Until the next gear review, keep on playing the guitar.